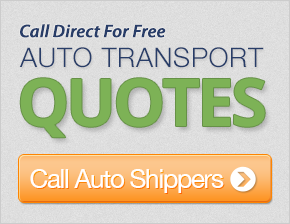 Get up to 7 free auto shipping quotes from the largest, most trusted Vermont auto transport companies and save up to 50% on your car shipping rates at CarMoves.com. Car shipping companies in Vermont compete for your business, which is how you can save hundreds, if not thousands of dollars on car transport services by shopping with us. Whether you're shipping a car to Vermont, across the country, or even overseas, we can help you get the best price on your shipment - guaranteed! Read more about the following auto transport companies in Vermont before getting a quote. Click on the name of the company to read a full review. Get a free auto transport quote today to find out how much it costs to ship a car to or from Vermont! Vermont is peculiar, even for the frequently peculiar group of states known, collectively, as New England. Unlike any other New England state, Vermont has no immediate access to the Atlantic Ocean. Perhaps as a result, the state has one of the smallest populations in the state, which is amplified due to its particularly small size. Even Montpelier, the state capital, is notably small, having less than 8,000 residents overall. Most residents must travel to Burlington to see the state's only major metropolitan area. The state has quite an interesting history dating back nearly to the earliest times of the nation. Vermont joined the United States in 1791, being the first state outside the original thirteen colonies to be admitted. 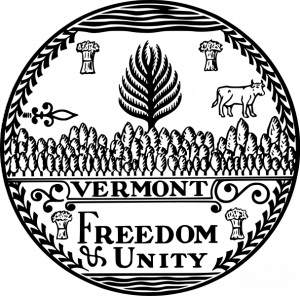 Vermont has always been quite progressive socially, and this fact is represented by it being the first state to abolish slavery - a feat it had actually accomplished prior to joining the Union. Despite its distance from the Civil War battles, the state sent many of its citizens to fight for the Union, losing, in total, about 15 percent of the state's population in the war. Female Vermonters were granted limited voting rights in 1880, making the state one of the earliest adopters of women's suffrage in the US. Finally, Vermonters of homosexual orientation were the first to be given the right to form a civil union, and, eventually, the right to marry. As previously mentioned, Burlington is the center of all happening things in Vermont. It is actually located in far eastern Vermont, just across Lake Champlain from the state's border with New York. The state's art centers and numerous events are located there. In the immediate metropolitan area, numerous shopping opportunities are available at South Burlington's University Mall. Job opportunities can also be found there, as Ben & Jerry's headquarters is there, as well as the headquarters and brewing station of Magic Hat Brewing Company. Burlington proper, however, is the state's main college town, as the site of the University of Vermont, one of the oldest colleges established in New England. The school is a respected research university, and has the state's largest medical facility attached to it. Vermont has a lot to offer for people not afraid of living in the small town New England atmosphere. CarMoves.com works with car shipping companies throughout the state of Vermont. We can help you get the best prices on car transport services to the following cities in Vermont: Burlington, Essex, Essex Junction, Montpelier, Rutland, South Burlington and many more. If you don't see your city listed, don't worry - we can get your vehicle shipped anywhere in Vermont. Scroll to the quote section on this page to compare free auto shipping quotes from up to 7 Vermont auto transport companies and save up to 50% on your move! View the Vermont Agency of Transportation website for more information.